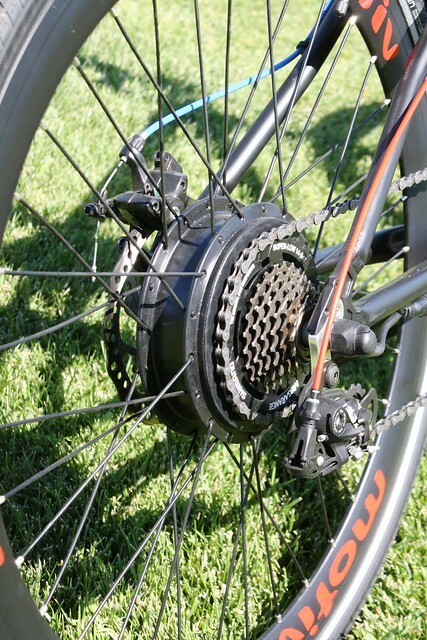 A freewheel on a $2200 bike? I’m really looking forward to the e-bike price drop. Right now they’re as expensive as scooters or even small motorcycles. 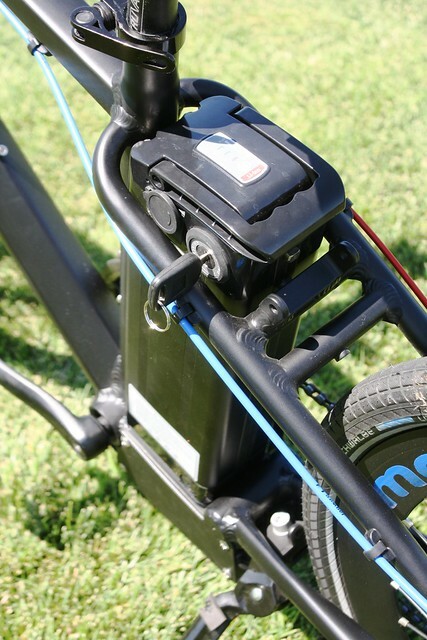 Given a choice between spending $2000-$5000 on a Motiv, a Specialized Turbo, or a Strommer and a 250cc scooter or motorcycle, the latter win every single time. However, get the cost down to a grand or so, and the choice becomes easier. It is a bit strange, I suppose. I have bicycles which cost more than the Motiv, but they’re multipurpose handmade bicycles. I can shop with them, get my workout on them, and I can tour with them. With most of the e-bikes, they’re only really useful as an urban commuter, but their top speed is so limited they really don’t make much economic sense. Why spend that much cash on a bike which isn’t legally allowed to go as fast as my bicycle does? If they could do 35mph, I’d be more interested also. But 2 grand or more to do 20mph doesn’t make much sense to me. 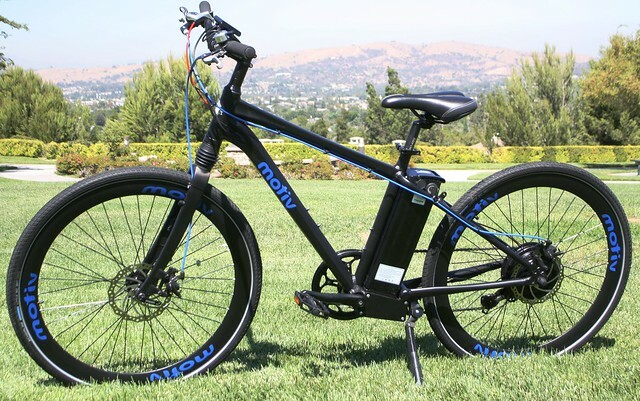 Hate to double post, but the e-bikes are marketed as commuter bikes, taking the place of a scooter or a motorcycle, right? So why not make them USEFUL? 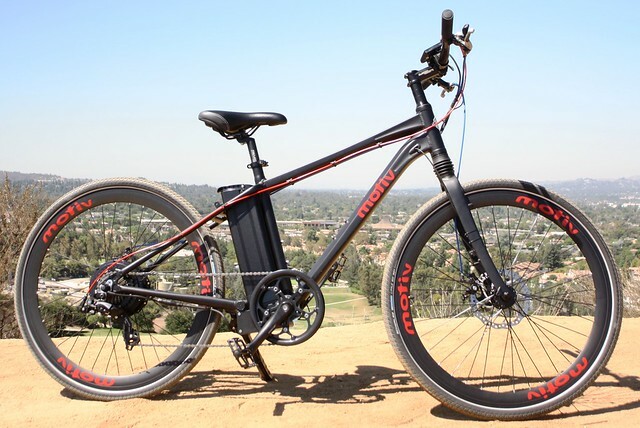 It doesn’t look like the Motiv would be very good in the rain, has no lights(a Sanyo dynohub and a light are very cheap and a no-brainer in this case), has no fenders, and no capacity for carrying anything. So what’s the purpose of it? Every motorcycle has fenders, and scooters have a place to carry groceries. Yeah, I want to hear more about these “bent axles”. Are you referring to the freewheel hub’s alleged tendency to bend axles due to the uneven support offered by the bearings? I have heard of that, yet I have never EVER experienced that. And, this comes from years of freewheeling abuse, including MTB back in the pre-cassette days. Nothing “alleged” about it. I’ve replaced my fair share of bent rear axles both during my time as a shop wrench and on our personal bikes that I assure you were NOT abused. I replaced 2 on my Varsity in about a year before the 700c conversion and one on my better half’s Ol’ Jamis Explorer commuter before replacing it’s rear wheel neither of which had seen the kinds of use and abuse we’ve put our freehubed mountain bikes through. mmkay…but what does that have to do with the Motiv? One: It’s a $2200 bike I’d object to it having a freewheel on principal alone. At this price point we need to stop dealing in stuff you find on a K-Mart rig for a tenth the price. Two: It’s heavier than a normal bike out of the gate ESPECIALLY in the rear. Combine that with someone of Clydesdale / Athena stature and that axle is toast. A freehub would make a ton more sense in this application. Frankly I’m disappointed that they cheaped out that much. I get the whole “hitting a price point”, but that’s crazy. For ~ $10 more (at RETAIL prices)that puppy could have a seven speed cassette. Heck lose the aero rims and they’d have made money on the deal. I just put a Q100 front wheel motor kit on a $200 Schwinn ClearCreek comfort bike with a 36 volt 15ah battery on the rear rack. Kit was $200 and battery was $375, shipping from China included. The pedal assist works well and the throttle does a decent job. 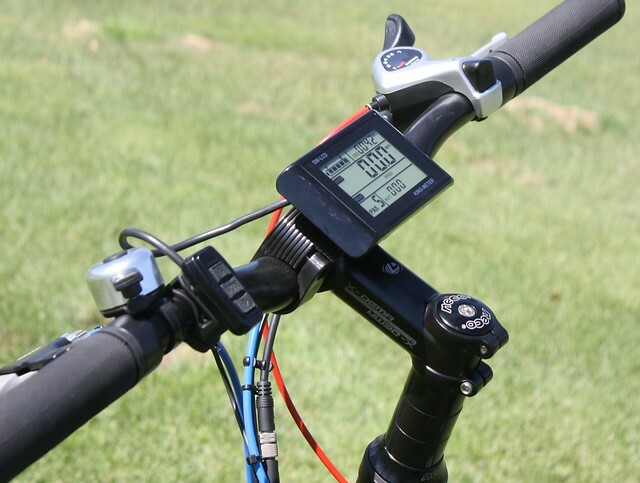 The bike will exceed 20mph with some pedaling, and that’s as fast as I want a bike to go in NYC. Since I have a 25 mile r/t commute, that works just fine. Some nice paniers on the rear rack and it’s really a nice way to commute. I’m 61 and was getting pissed at having to ride up bridges and into headwinds, now it’s back to being fun again.